It’s easy to see a shift is underway at MSLO. After declining ad revenues throughout the publishing industry, as advertiser dollars migrate online, MSLO shed the production portions of its publication divisions, while continuing to contribute content development for the popular books and magazines. This is part of the company’s strategy to cut costs at MSLO while expanding its profitable merchandising division, which has been responsible for almost all the company’s profits for several years now. In this Bloomberg article, Martha is optimistic about her company’s future and her ability to leverage her personal brand to be ambassador of “good things” to homemakers all over the world. Martha has worked hard to earn the public’s trust–so there’s little doubt she’ll succeed. Lastly, doesn’t Martha look buoyant and fabulous in the photo? Happy New Year, Martha! You can read the entire Bloomberg article here. Now I’m more devoted to making things really, really good than making things monetarily successful. If you make them good, the success comes. My company is a case in point. This company has to grow now. It has to. It has every single quality of a really good company and now all I have to do is help make that happen. 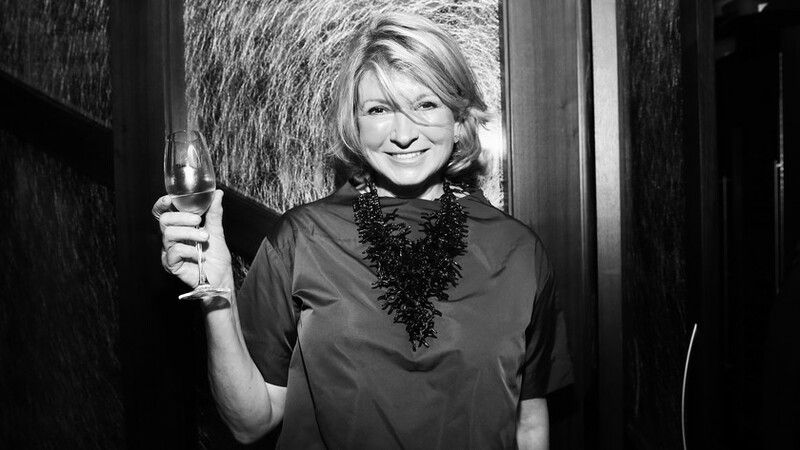 Martha to Open a Cafe in NYC! Martha is venturing into retail again, this time in the form of a cafe! 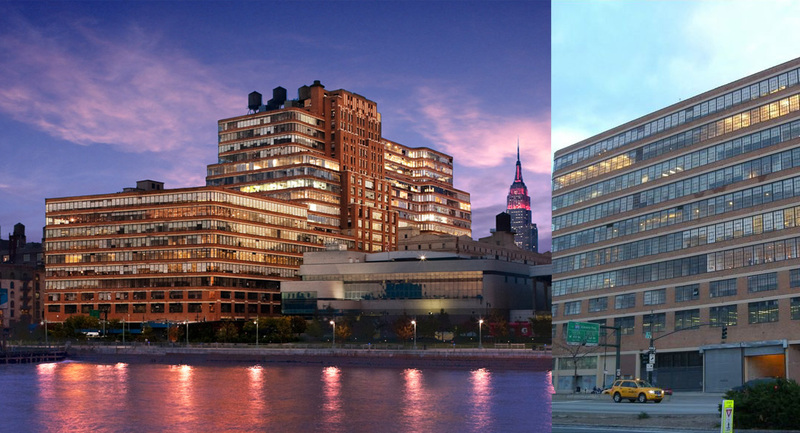 Martha and Co. will be opening a cafe in the same building in which MSLO is headquartered; the landmark Starrett-Lehigh Building in Manhattan’s Chelsea District. Details are scarce at this point, but the search for qualified baristas has already begun. One detail that was made public during Macy’s lawsuit against Martha is the fact that in the “exclusive” contract with Macy’s, Martha has retained the right to sell Martha Stewart-branded items in stand-alone stores that bear her name. At the time, there was a Martha Stewart store in Japan, that sold Martha items. Knowing Martha, this cafe will be only a beginning. Since product licensing represents a significant amount of MSLO’s profit-making enterprises, it seems reasonable to expect there will be other Martha Stewart-branded items for sale here. And with America’s love affair with all things Martha continuing, one can be sure the cafe will be a smash success. I mean, who wouldn’t want to share a cup of coffee with Martha herself, right? 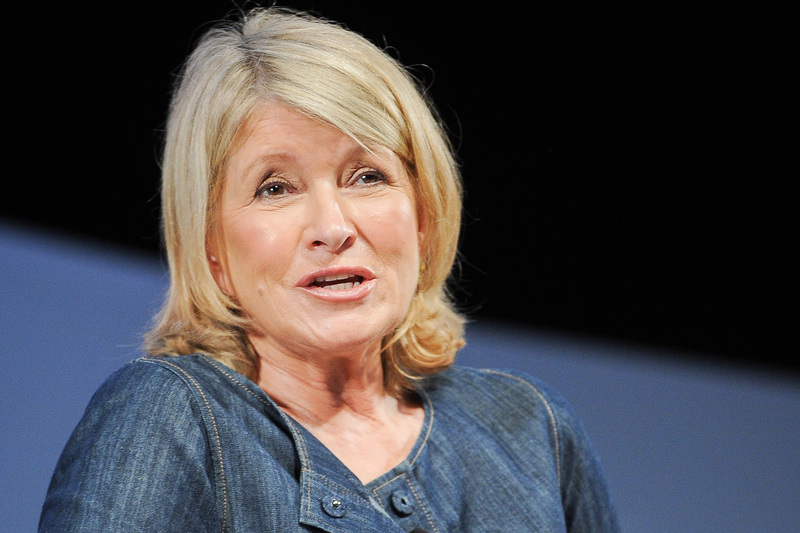 Now Available: Martha Stewart Coffee! Martha has put her seal of approval, and name, on a new line of coffee. 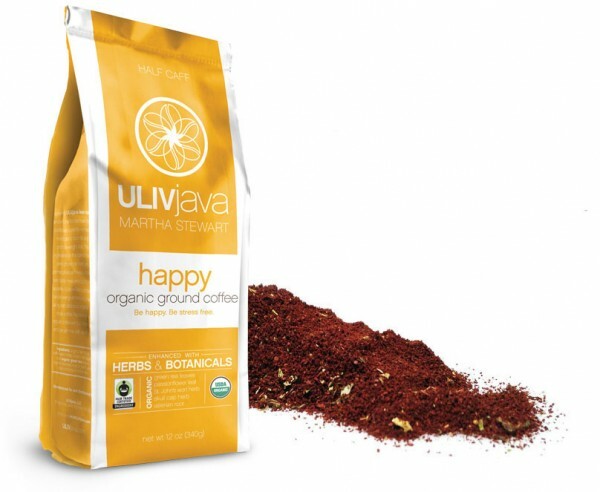 The coffee products were developed by Ulivjava, a company cofounded by Martha’s personal trainer, Mary Tedesco. The coffee is infused with vitamins and herbs, and fits in nicely with Martha’s call to us all to live “the good long life”. What do you think, FOMs: Will you be having coffee with Martha? 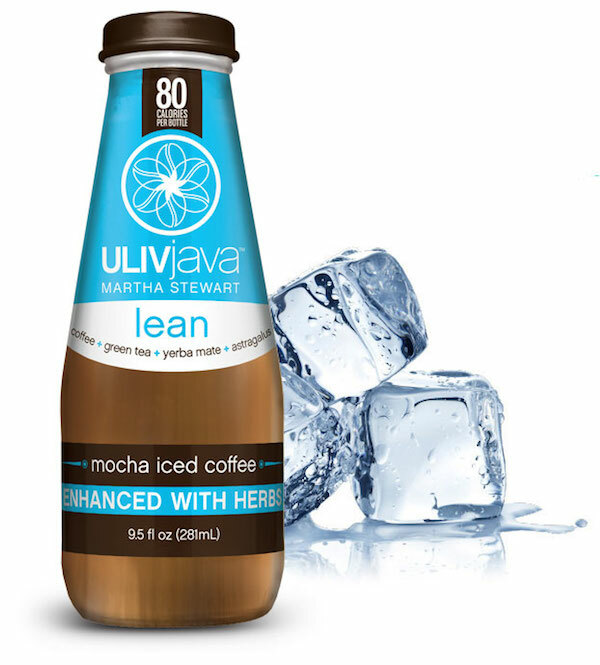 Stewart’s personal trainer for the past 10 years, Mary Tedesco, and “celebrity nutritionist” Kathleen Schoen, who co-founded the Ulivjava brand, say the product was “inspired by Martha Stewart and her commitment to health, wellness and vitality.” As luck would have it, Stewart enjoyed tasting the RTD product so much that she decided to put her name right there on the package and help the owners push Ulivjava through her social media channels and her Martha Stewart Living magazine. “I love everything ULIVjava stands for — health and wellness with your daily coffee,” Stewart said in an announcement this week. What a difference a CEO makes! – JC Penney’s will discontinue selling products in those categories that prompted the lawsuit from Macys. – JC Penney’s will sell back its share ($37 million worth!) of MSLO stock purchased as part of the partnership. Not great news for Martha and MSLO, where a great portion of revenue is generated by licensing the “Martha Stewart” name. Martha was hopeful that the products offered at JC Penney’s would reach audiences currently unserved by the products sold at Macy’s. Still, the JC Penney’s partnership will continue, though CEO Ullman seems less devoted to Martha and her products. And the partnership with Macy’s will continue, though Macy’s CEO Terry Lundgren became furious with Martha when she told him of her new relationship with JC Penney’s. Of course, neither CEO would be interested in continuing his partnership with Martha if she and her products were not so popular with the public. The judge in the Martha vs. Macy’s trial has scheduled a hearing for September 25, though he did not give a reason for the hearing. According to the Dallas Business Journal, the hearing is in response to the NY Post article that claimed JC Penney was dropping its plan to carry Martha Stewart-designed items–branded “jcp everyday”–in its stores. Obviously, if JC Penney voluntarily quits carrying the contested products, the lawsuit is ended in Macy’s favor. After the original article ran in the NY Post, a spokesperson for MSLO stated “J.C. Penney remains one of our many retail partners. Our agreement with them is in force, and we have no intention of ending it,” indicating they would not be receptive to an early termination of the agreement. Unless there is specific language in the contract that allows JC Penney to do so, it is expected that MSLO may itself sue JC Penney for breach of contract. Oing oversaw the lengthy non-jury trial on a claim by Macy’s that Penney’s 2011 deal with Stewart violated her 2006 agreement with the Cincinnati-based retailer. Oing’s decision in the suit is expected soon. A source told Bloomberg that Oing intends to ask Penney’s lawyers if the story is true because it could affect his ruling on the contract. Things just got more complicated for Martha and Co.
To most following the Martha vs. Macy’s trial, it looks very unlikely that Martha and JC Penney will prevail. In a nutshell: Although Martha’s contract with Macy’s did, in fact, allow for Martha to open stand-alone Martha Stewart stores that offer products in categories–housewares, bedding, bath, and cookware–that would compete with those items offered at Macy’s, the idea that Martha’s “store within a store” actually qualifies as a “stand alone” seems dubious, at best. Ron Johnson, the JC Penney CEO who developed the “store within a store” idea and created the partnership with MSLO, was ousted in April 2013. His predecessor, Mike Ullman, was reappointed to take over the company and has shown little to no enthusiasm for the plan. If JC Penney does end its partnership with Martha, it is expected that MSLO will sue JC Penney to enforce the contract, unless there is specific language in the contract allowing JC Penney to end it at any time. MSLO had projected its merchandising agreement with JC Penney to generate $200 million dollars in much-needed revenue for the company over the next several years. MSLO has become increasingly dependent upon revenue generated through licensing and merchandising agreements, as sales through its magazine divisions have slowed and Martha’s presence on television has diminished. MSLO stock prices sunk when the news of the end of its JC Penney partnership was leaked. Ullman, a former Penney CEO who returned to the helm in April to repair damage from a disastrously unsuccessful turnaround effort by Johnson, began to broadcast the split with the beleaguered domestic diva to workers in recent weeks, insiders said. However, Ullman was determined to give Stewart the boot from the get-go, insiders said. As reported by The Post, Ullman initially reached out to Macy’s CEO Terry Lundgren to settle the lawsuit, which had already gone to trial with dramatic testimony from Lundgren, Johnson and Stewart herself. If you have been following the trial, you likely remember that the judge in the case ordered the parties into mediation while the trial was in recess, in the hope that they could resolve the dispute without a ruling from the court. No such settlement emerged, and so the trial will resume again next Monday. Much is on the line, especially for J.C. Penney and MSLO, as both companies have lately had disappointing financials. Macy’s, seen as the likely beneficiary of a court ruling, has essentially no reason to negotiate or settle with the other parties. The three parties Macy’s, J.C. Penney and Martha Stewart Living Omnimedia were sent into mediation by the officiating Judge Jeffrey Oing. He had hoped to resolve the dispute mutually during the time the non-jury trial was in a recess owing to the conflicts in the schedule. However, even on Friday there was no evidence of any deal being stuck and witnesses would be testifying the same in the early part of this week according to a person who knows the case. The person who was not authorized to speak publicly and wished to remain anonymous told that the witnesses might include a few J.C. Penney marketing executives. FOMS: This is disappointing news. I was looking forward to seeing, and perhaps, owning, furniture that reflected Martha’s exquisite taste in design. Hopefully, the program, or something similar, will be resurrected in the future. 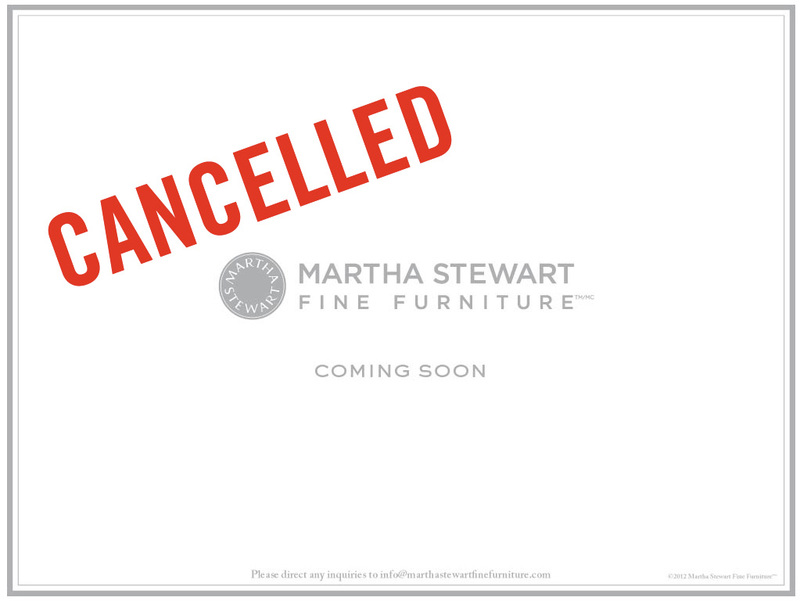 In the meantime, you can enjoy this YouTube video of Martha discussing the now-ended Martha Stewart Fine Furniture program. Be sure to visit the MarthaPantry section on the JC Penney website! Loads of super-cool pantry items–salts, oils, heirloom beans, baking mixes. The selection is much broader than I anticipated! FOMs: Let’s start tasting! If you try a MarthaPantry item, post your comments here and I’ll share with others. Yum! 1. 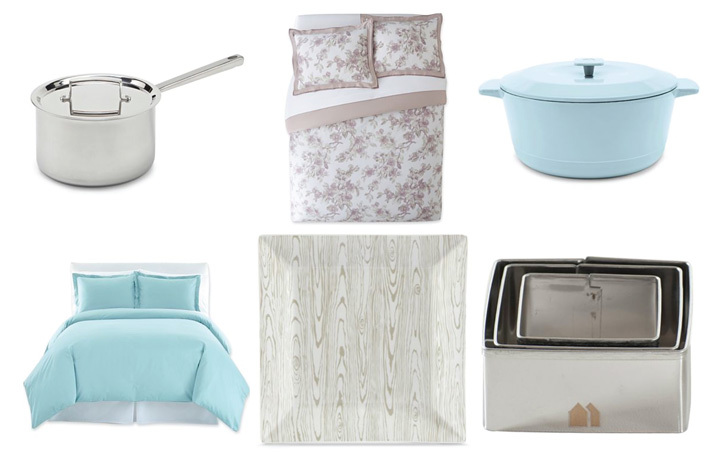 They products definitely bear some of Martha’s signature design elements, the hen-egg blue, the faux bois pattern (one of Martha’s favorites), and the overall elevate taste level are definitely Martha-inspired. 2. Most of the products look nothing like similar items for sale at Macy’s as part of the Martha Stewart Collection. True, the pasty bags at one retailer look like the pasty bags at the other–but that’s because of the design requirements inherent in those particular items. 3. I’m intrigued by the “JCP Everyday” logo (see cookie cutters image above, bottom row at right). The two overlapping houses do, in fact, make an “M”, don’t they? Macy’s brought this up in the court case, as they sought an injunction to halt the sale of these items, even though they do not carry the “Martha Stewart” name on them. The judge denied Macy’s request, and they have appealed. Further, these items are not allowed to be sold in the Martha Stewart stores-within-stores at JC Penney, nor be placed anywhere nearby, pending the outcome of the current court case–a step taken to minimize harm to Macy’s, should they ultimately prevail in court. FOMs: What do you think? My own message to Macy’s is this: Calm the heck down, would you? It’s clear Martha and her team have no intention of cannibalizing their own profits generated by sales at Macy’s. That wouldn’t be very smart, would it? “As of today, those products are on the floor and online,” Paul Rutenis, general merchandise manager of J.C. Penney’s home department, said on Monday in testimony in New York State Supreme Court.